In case you’re on the fence about upgrading to macOS Sierra from El Capitan, you’ve come to the right place. We’re dissecting the new macOS in detail, looking closely at how it compares to the previous and if the end justifies the means (of waiting for an hour-long upgrade). However, if you want to upgrade to macOS 10.13 High Sierra, jump straight to this guide. Before we begin, here’s a few most common things you have to know about the latest macOS: the update is free as always, it runs on most Macs later that 2009, and you can only upgrade from El Capitan (you can’t skip it and run Sierra from Yosemite directly). There, now let’s look at what Sierra has to offer. We’ll run a comparison on the most important things: features, performance, and system requirements. Usually, most of these criteria are enough to make a decision whether you need to upgrade or not. Some of the measurements are approximate and might show different figures in the case of your Mac, like battery life, which depends heavily on its age and intensity of usage. Siri Nope. Available, still imperfect, but it’s there. Apple Pay Nope. Available, works well. Space management Only the one you perform yourself by being neat. Optimized Storage with cleaning features. Apple Watch Unlock Nope. Is there, works mostly fine. As you can see, macOS Sierra is pretty packed with new features. Some of the goodies can only be used if you have other Apple devices, like iPhone or Apple Watch. Optimized Storage is a whole separate story on how Apple tried to make a good space cleaning solution and almost succeeded. 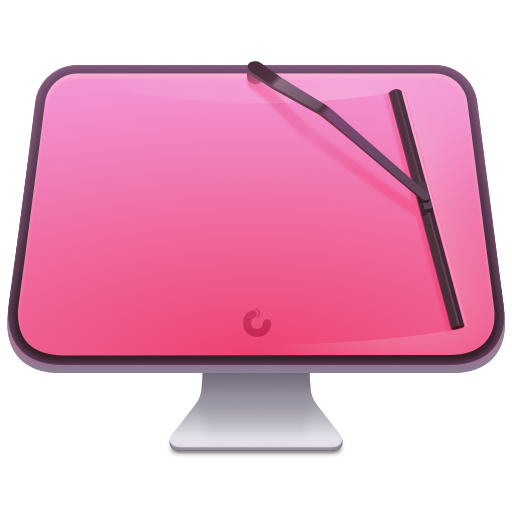 Bottom line is, if you want your system running smoothly for longer than a few months after the installation, you’ll need third-party Mac cleaners for both El Capitan and Sierra. Despite the fact that you can free a notable chunk of your drive by moving stuff into the iCloud with Optimized Storage, you still get all kinds of system trash (like app cache) that doesn’t go anywhere. Another novelty, an intelligent personal assistant and knowledge navigator Siri, has been long-expected and we’re all glad to have it on Mac. Even though it’s still not the future-is-now kind of assistant that really understands you and can hold a conversation. But it will look for files on your Mac or on the web and find you a place to have that anniversary dinner. Which is nice. Runs better on new Macs. Air 2013 5-6 hours on a MacBook Air 2013.
but could be better. 65 security fixes, sounds impressive. 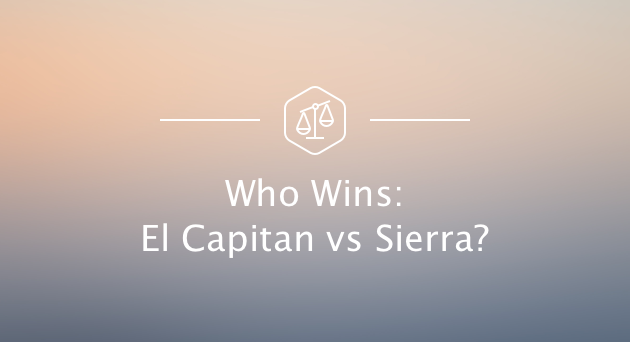 It’s hard to make a sweeping judgement on which OS version is faster or more powerful. Because of the constant sync with your iCloud (and probably something else because when it’s turned off the problem is still present) macOS Sierra does drain your battery faster. On average, an upgrade will cost you a few hours of work. On the other hand, at least a fresh-installed system is really snappy and the response is amazing. It could be because it’s a new install and it could get lost in half a year, but hey, half a year is still not bad. Just make sure your Mac supports Sierra, otherwise instead of getting faster it will slow down even more. So getting an app like CleanMyMac or the likes is still advisable even for the latest macOS. (Mac models) Most late 2008 Some late 2009, but mostly 2010. The main difference is with the Mac models, you can see Apple support page for more details on which Macs can upgrade, but the official requirements for RAM and disk space are the same, even though technically the installation file for Sierra is smaller. To sum it up, if you have a late 2009 Mac, Sierra is a go. It’s fast, it has Siri, it can keep your old stuff in iCloud. 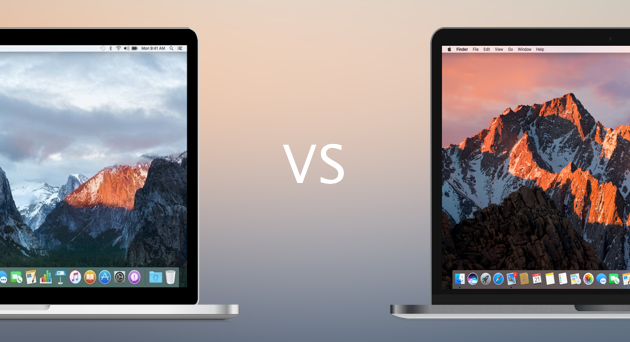 It’s a solid, safe macOS that looks like a good but minor improvement over El Capitan. We hope this guide has been of help. Remember to backup your files and upgrade safely. Cheers.